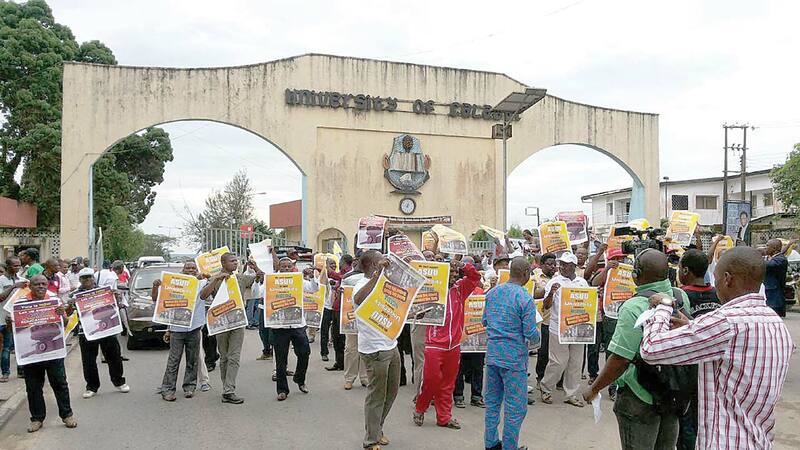 Stakeholders in the educational sector in Ogun State and members of the Academic Staff Union of Universities resolved after a meeting on Tuesday to support the presidential candidate of the People’s Democratic Party, Atiku Abubakar. The academics also pledged to canvass and mobilise support for the former vice president to ensure his election in the presidential election in February. The meeting, held with the Deputy Chairman of People’s Democratic Party Presidential Campaign Council (South) and former Governor of Ogun State, Otunba Gbenga Daniel at the Political Academy in Sagamu, had representatives of all the tertiary institutions in the state in attendance. The education stakeholders complained about the retardation in the development of the educational sector. They lamented the lack of direction of both the present State and Federal governments with regards to the education. “The state of education in Ogun is lamentable. Higher institutions were starved of funds with accumulated salaries and allowances unpaid,” one of the stakeholders said. Atiku during his campaign promised to restructure the educational sector across all levels to make get it to the required standard. He also pledged to increase the budgetary allocation to education from the current seven per cent to not less than 20 per cent. Lauding the restructuring agenda of Atiku together with his commitment to creating jobs for the teeming masses, they believe these policies will take Nigeria out of the woods putting it back on track. “Atiku’s promise of restructuring the nation and provision of jobs for the unemployed are key to a nation’s development and the academia is ready to lend their weight behind the PDP candidate in order not to have a repeat of 2015 scenario. We are on the same page with Atiku and whatever we do, we do it well”. The major stakeholders in the educational sector came to the conclusion that they have to reposition themselves as a pressure group in the mainstream of Nigerian politics. Otunba Daniel, in his response, assured the academics of Atiku’s undying passion for restructuring. “It should be noted that Atiku has been talking incessantly about restructuring for the past years and already has the blueprint as encapsulated in his compendium of speeches. He stressed that restructuring is all about decentralisation so that powers are not concentrated at the centre impoverishing the States and local governments as we have at the present moment. “The coming election will be a defining moment in the political history of our country. Buhari has failed in all his cardinal programmes of improving the economy, provision of adequate security and fighting corruption. He has instead been playing politics with corruption. We cannot perform experiment with the presidency. This is not about Buhari but about the future of the country. The question is if we want the status quo to remain or if we want a change,” Otunba Daniel concluded.